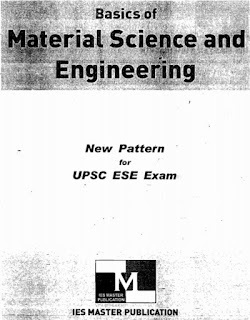 DISCLAIMER:- ALL THE RIGHTS OF THIS BOOK RESERVED BY IES MASTER PUBLICATIONS. IF YOU ARE THE RESPECTED AUTHOR OR PUBLISHER OF THIS BOOK AND YOU HAVE ANY QUERY REGARDING THIS EBOOK PLEASE CONTACT THROUGH CONTACT US FORM. WE HAVE NOT to SHARE ANY BOOK AND COPYRIGHT MATERIAL TO THIS BLOG ALL THE LINK ARE COLLECTED BY INTERNET AND SOCIAL NETWORKING SITES OR GROUPS.